Humans have a tendency to prefer systems of explanation in which every element can be reconciled and explained. 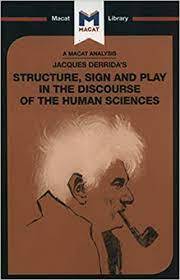 In a Derrida's Structure, Sign, and Play in the Discourse of the Human Sciences research paper, a student may want to show how Derrida explores the theoretical shift that occurred between structuralism and poststructuralism, emphasizing the emergence of a new set of critical practices more defined by a realization that not everything can be wholly explained by systematic structural analysis. Humans have a tendency to prefer systems of explanation in which every element can be reconciled and explained. However, in the essay, Derrida argues that the true nature of things is significantly less clear-cut than this artificial world view. Instead of critical methodologies that focus on achieving a perfect synthesis with a center, Derrida suggests an alternate practice that acknowledges the absence of a fixed, unifying center. To Derrida, the transformation from a system based on absolutes to one based on relativism will be intellectually liberating. However, the problem with Derrida's notion of deconstruction is that it is endlessly self-perpetuating. That is, once you embark on the path of deconstruction, it is a slippery slope that has no logical endpoint. Using this method of looking at the world, there can be no fundamental meaning in anything, and this seems to contradict age-old human intuitions and systems of beliefs. Gadamer and Derrida Research Papers on how Gadamer and Derrida have influenced how we read texts in literature and philosophy. Postmodernist Movement research papers examine the postmodernist movement through Derrida, Foucault and others.